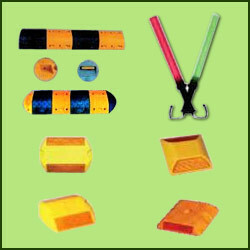 This Road Safety Products are fabricated using optimum quality raw materials which provide high functionality durability, strong and highly visible from distance on roads and highways to justify a variety of tasks on protection point of sight. These are available in various sizes and lengths and specially made using latest techniques that make these products highly dependable and resistant to weather conditions. We offer high range of these products for the customers in a wide range and make them accessible at competitive prices. We are manufacturer of Q manager. Our company supply superior quality Q-Managers which is used in various industrial sectors for different purposes. These are highly demanded in domestic and international markets for their features like dimensional accuracy, corrosion resistance, smooth surface finish and low maintenance. Clients can avail these at nominal prices in the industry and are sourced from the reliable vendors. 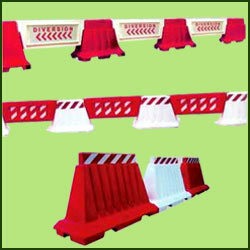 Enriched by our industry experience we manufacture and supply a greater range Road Barriers which is highly used during traffic controller activities and is an identified advantage in traffic management equipment. Our range of products is highly valued across the country for its owing features like interlock at 90 degrees, lights and signage. 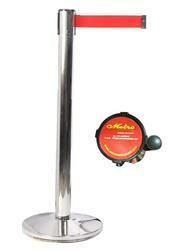 These are available at various dimensions as per the client requirement and can avail these at leading market prices. 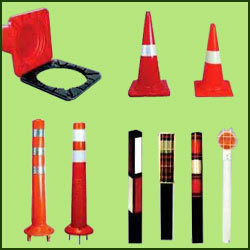 These Road Safety Cones can be used for monitoring vehicular traffic even at night or inclement weather conditions. We manufacture and supply these using high quality materials to ensure the high strength, corrosion resistance and durability of our products that do not get smashed in any accident and come to their unusual state. These products are appreciated for smooth finish and strength. Clients can gain these products from us at industry leading price. A Speed Bumps Studs and Safety Batons are a velocity-reducing feature of road design to slow traffic or decrease through traffic. We manufacture and supply superior quality of these products for the customers for their superior performance and strong construction. These are fabricated using high grade quality raw materials and that are procured from our most trusted dealers of the industry. These are available at cost effective prices. 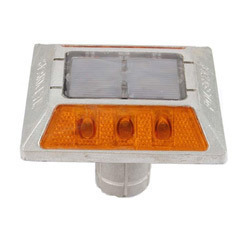 We are engaged in supplying solar studs, solar blinker and traffic cone. These are extensively used in road safety purposes. Our range is works with the help of solar energy. These studs and blinkar is used in quick turning areas, accident prone areas, dark zones, lane merging zones and centre verge.